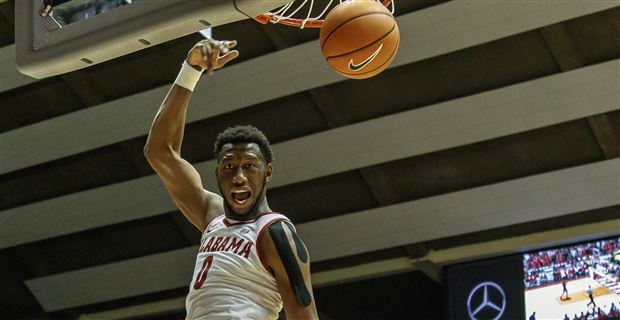 The Alabama men's basketball team will take their fourth crack at a true road win on Saturday when they travel to Baton Rouge to face the LSU Tigers. Alabama enters with a 2-2 record in conference, while the Tigers have a surprising 2-1 start to league play, thanks to back-to-back road wins at Texas A&M and Arkansas. Game time is 7:30 P.M. CT. SEC Network will handle the television duties. Click the links for team and KenPom stats. My Two Cents: Will Wade has the natives excited in Baton Rouge. The Tigers are 11-4 with three true road wins already, and a nice neutral court win over Michigan in the Maui Invitational. They also have one of the best freshman players in the country in Tremont Waters. Unless the harsh winter weather expected this weekend keeps fans at home, Alabama will likely walk into a hostile environment on Saturday night. Our guys will also be searching for their first back-to-back wins since November. Both teams appear to match up well on paper: LSU ranks 7th in the conference in offensive efficiency, Alabama ranks 9th; both teams are ranked in the top three in conference in defensive efficiency. LSU plays at a quick tempo (top five in the conference at KenPom), which is in Alabama's favor as long as our guys can protect the ball and be efficient on the offensive end, something they have struggled to do consistently. If both teams are prepared to play, all signs point to this being a competitive game. Players to Watch: The competitiveness of Collin Sexton is one of the things that brought people out to watch him during his high school career. He famously (or infamously, depending on your point of view) told Penny Hardaway that his son was "trash" during a game. To borrow a phrase, Collin is a different cat. My guess is he's aware of how good Tremont Waters has been, and I expect Collin will come out ready to accept the challenge. The same for Tremont Waters. His emergence as a freshman is a big, if not the sole, reason why LSU has been one of the surprises in the league up to this point. While Sexton is fast, physical, and can score at all three levels, Waters is a wizard with the ball in his hands. His handle, his court vision, his ability to shoot the ball is a joy to watch, unless he's playing your favorite team, that is. In my opinion, these two guys have been the top two freshmen in the league this season. They will meet at least twice, and both games are the better for that. While that matchup will get a lot of attention, I think the team that gets the most from its post players will win the game. For Alabama, that means they need a repeat performance from Tuesday night of Donta, Daniel and Galin.